It’s been almost a month since my birthday and I just realized haven’t shared with you any of my b-day presents. 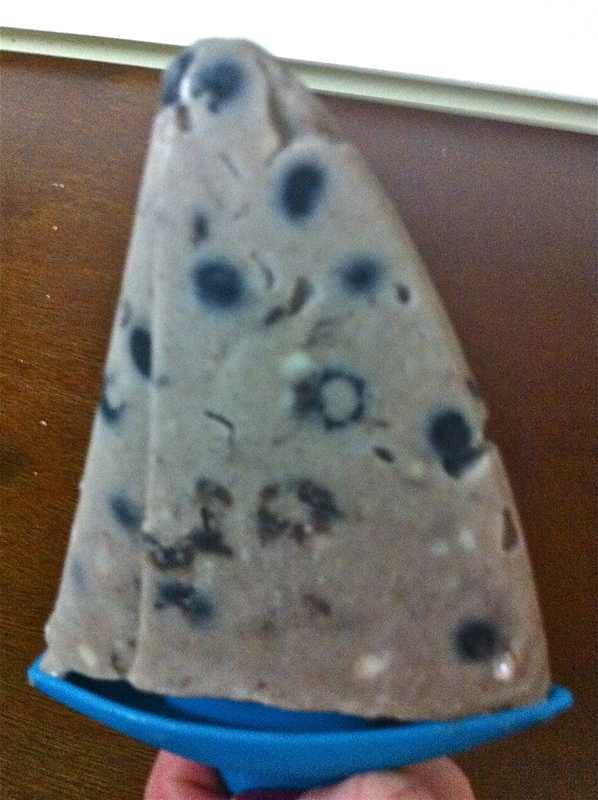 One small gift was to buy popsicle molds they have blue tips (match kitchen) for the popsicles into sail boats (a little something fun for my husband who one day wants to own a sailboat). 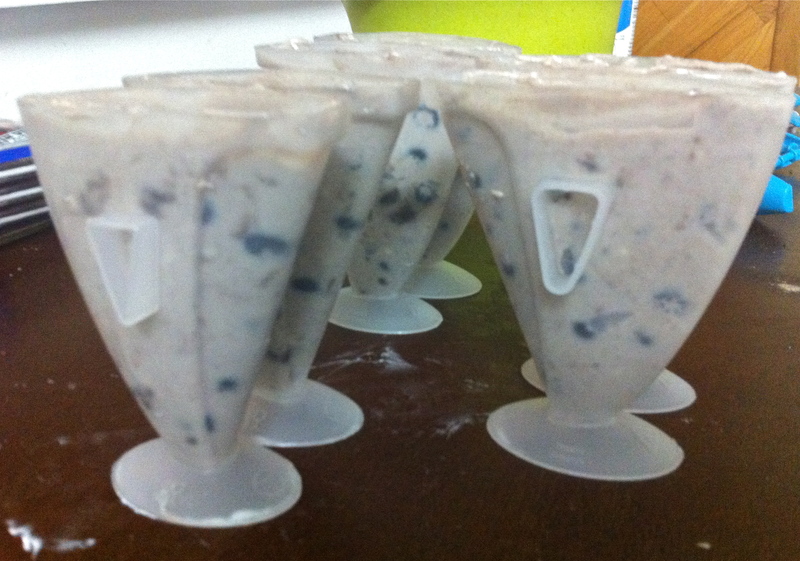 After looking around online, my first experiment with my new summer kitchen toy: cookies n’ cream pudding pops with blueberries! And the great thing about these are: they are each only 90 calories!! 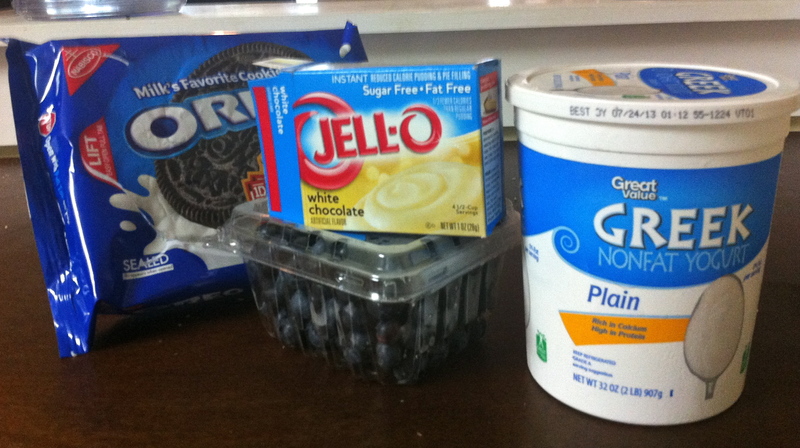 -Mix together the dry pudding mix, greek yogurt, and low fat milk. You can do this by hand or with a mixer. 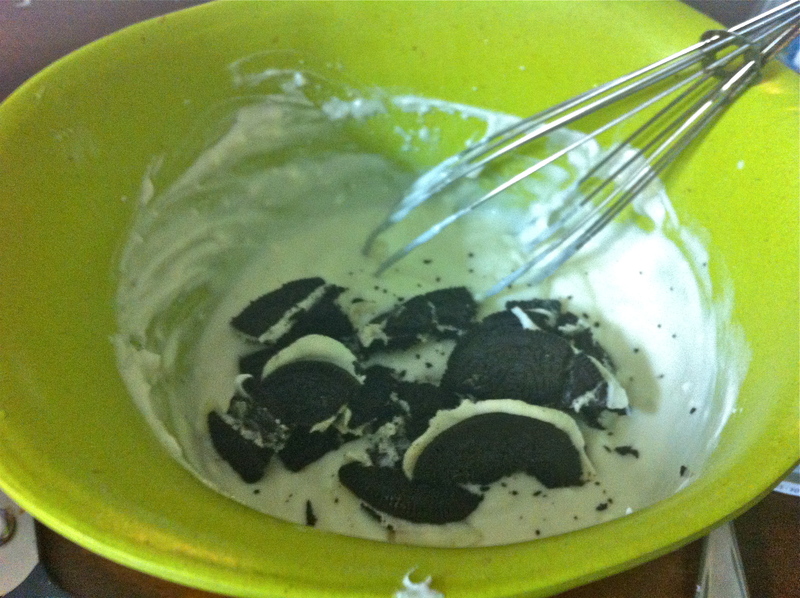 -Add in the cookies. 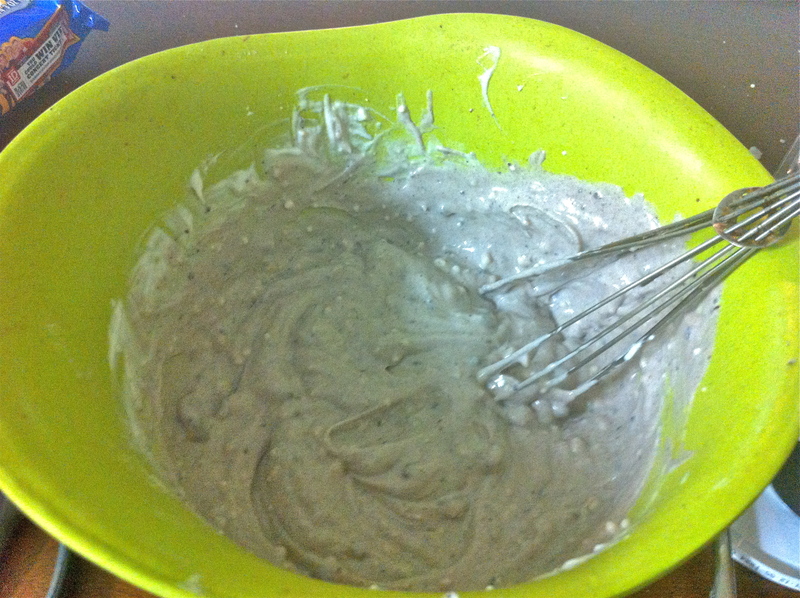 You can crush them with a whisk, put this mixture in the blender, or send the mixer on a high setting. Here is where you need to decided if you want large chunks of cookie or a more blended texture (we did the latter). 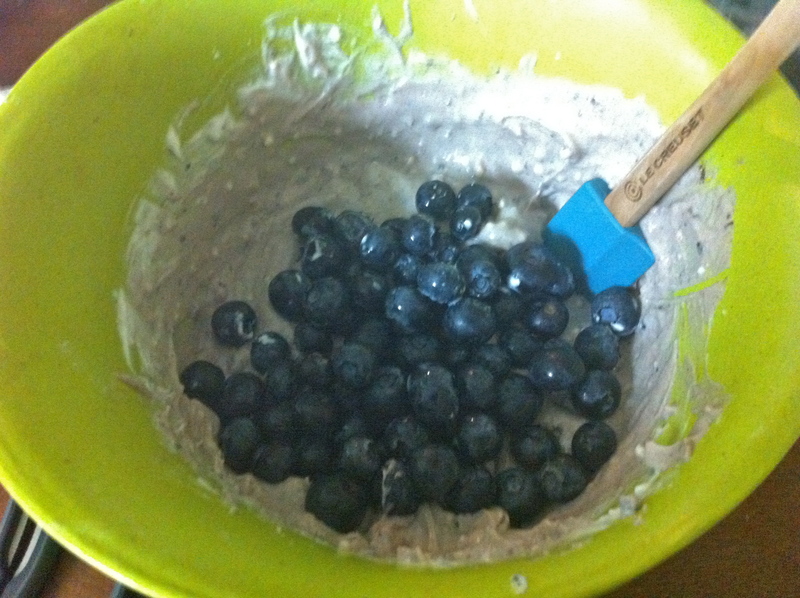 -Next fold in blueberries. Do not use the mixer/blender if you want your berries whole. 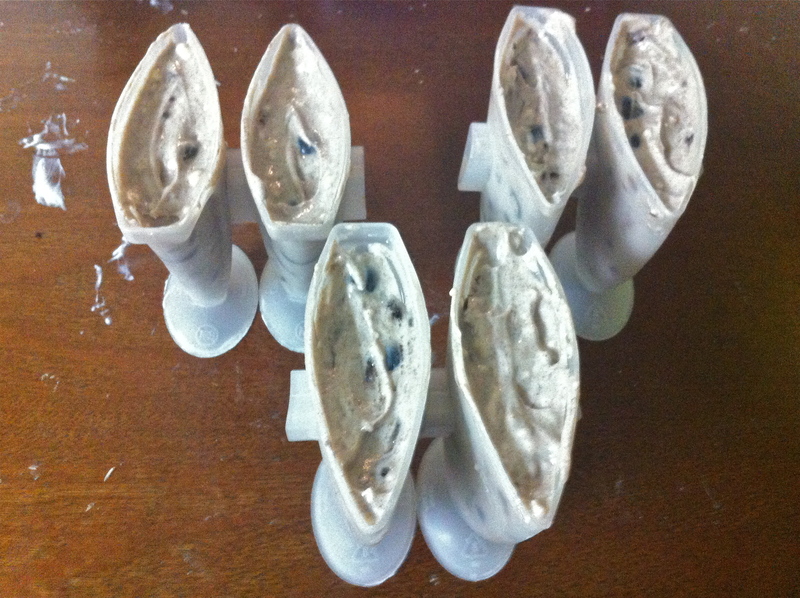 – Fill the molds to their full line. Remember to push out any airpockets. 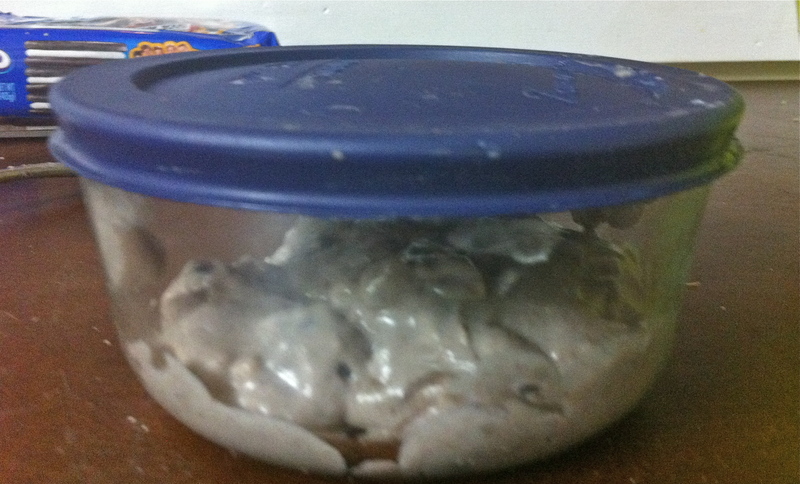 -Let the pudding pops freeze for at least 5-7 hours. Because they are so thick they will take time to solidify. 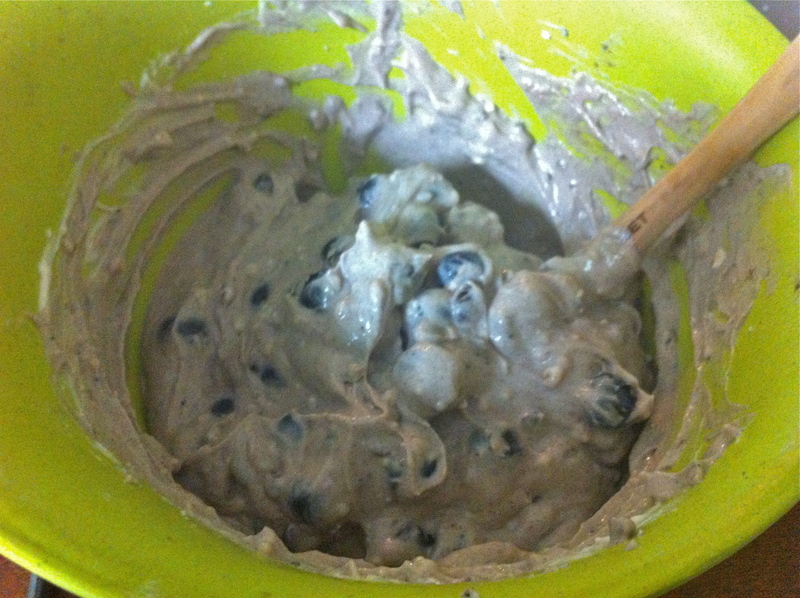 They are rich, creamy, and full of antioxidant blueberries with that hint of chocolate we all love. If you only have a 6 pop set like I do the great thing it saves in the fridge just fine until you have eaten one (or two) and can fill up the mold again . 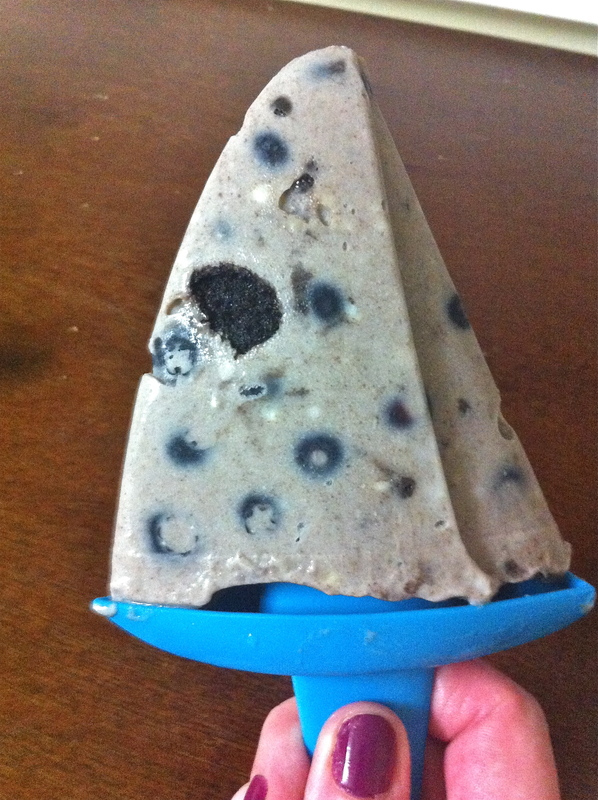 What is your favorite frozen summer treat? Previous postTell them Thank You!